The Seal 2.0 is a direct descendant of the original swim mask, the Seal, and is the perfect swim mask for fitness swimmers. 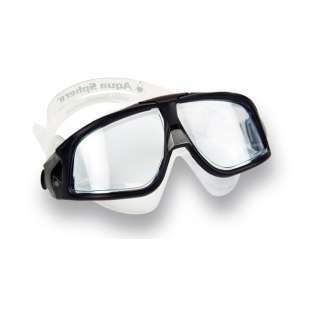 Provided its large format wrap-around lens design, the Seal offers the widest field of vision of any goggle in the market and the soft silicone facial skirt integrates Aqua Sphere's Advanced Fit Technology for a comfortable, watertight fit. been using this model for years... none compares.. 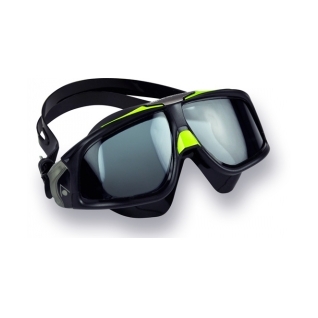 These are the best swim goggles I've ever used. Very clear, bright and comfortable. love this mask have been looking for this style for a while as i have facial hair i cant use standard dive masks but this works great. Very comfortable, clear, and no leaks. This is the 3rd or 4th Aqua Sphere swim mask I've owned. So much better than the micro goggles for comfort. The mask itself is of nice quality. The strap, not so much. I constantly have to adjust the tension as the design allows the connection to the mask to slip. I have been using this mask for about a year and the strap has begun to fray and will soon be useless. I need to find a replacement strap as the mask itself is still in good condition. As far as the unit fogging up.......mine starts to fog after about 8 (25 yard) laps. I had already owned the mask and purchased via your site as a gift. The mask is far more comfortable than small goggles!! The goggles fog up too quickly; however, they are still the best goggles I've ever owned. I love my new goggles. My old ones were scratched and had begun to leak. What a difference they make to my swimming pleasure. "Smoke" lenses worked great in the sun. Comfortable to swim in. 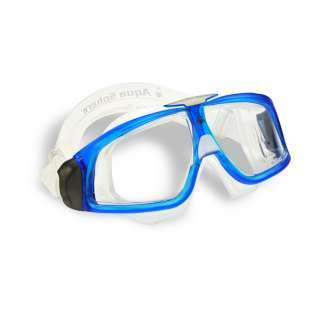 Great to wear when trying to keep up with my 5 year old grand daughter in the pool(she swims like a fish). The first one I bought lasted for one year. It appears that the rubber parts turn softer as time goes by. The black material seems more flexible than the white from the start. 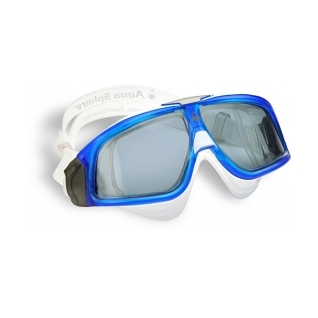 For myself & my kids, I have yet to find better swim goggles then Aqua Sphere. The Seal 2.0 looks and feels even better then the originals. The best price is here at swim 2000 .